If you are searching for a company to help you with your roadside situation, we at Peach Towing can be your trusted roadside assistance service in Georgia professional. You are safe knowing that an expert can give you the assistance that you need. Especially since you are looking for a roadside assistance at an affordable cost, you will never regret it trusting us. We can always be glad to help you out. It is also impressive to know that we provide our service a lot faster as compared to other service providers. We are making a trend in providing fast roadside assistance services for the guaranteed satisfaction of our customers.  Call us now at Peach Towing for more information! It is true that mud, snow, and sand can affect the way that your car operates. That is why we think of the best approach to help you with your car. Our winch-out service is the surest method to get your car from these natural elements. We also have our fleet of trucks that can pull your vehicle securely and safely. This is why we suggest you call us for the immediate service possible. In just a few minutes or an hour, we at Peach Towing can show up to your place and jumpstart your battery. We promise to end your suffering facing a vehicle’s dead battery. Our previous customers can attest to our reliable and prompt jumpstart service backed by unbeatable pricing and years of experience. It is our goal is to always bring comfort for our valued customers through our jumpstart service. The moment you call us, we can perform towing service twenty-four hours a week. Our promise is to do our best to help you jumpstart your vehicle’s battery. 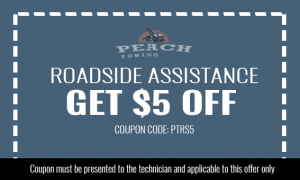 For a reliable and prompt jumpstart roadside assistance service in Georgia, call us right away at Peach Towing! There are times that keys get lost, snap or break. We at Peach Towing can offer fast car lockout assistance if you find yourself in such a situation. Do not fix the issue yourself. We want you to think of our service to be the best and most reliable. Our assurance is ease and convenience for your part after trusting us with a car lockout assistance. With the right technology and tools, we can unlock your car without any damage. 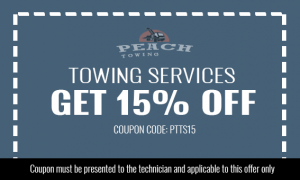 In just thirty minutes, we at Peach Towing can help your vehicle get running fast and easy. When you contact us right away, we can send our roadside assistance team to assist you. You only need to tell us your issue before we do our job. That is one clear way for us to resolve the issue fast and easy. Our 24-hour emergency roadside assistance service in Georgia can help when it comes to a flat tire, out of fuel, lockout and more. If you need assistance for emergency situations, you need to strongly believe in what our team can do. Our expertise, excellence, and knowledge in roadside assistance make us the best in the industry. That is why we suggest you call us immediately to solve your issue and to free yourself from stress! Do not hesitate it asking for help from us! When cars are the problem, you can depend on our tow trucks to give the best service. Our technicians are trained to even work under severe weather conditions.